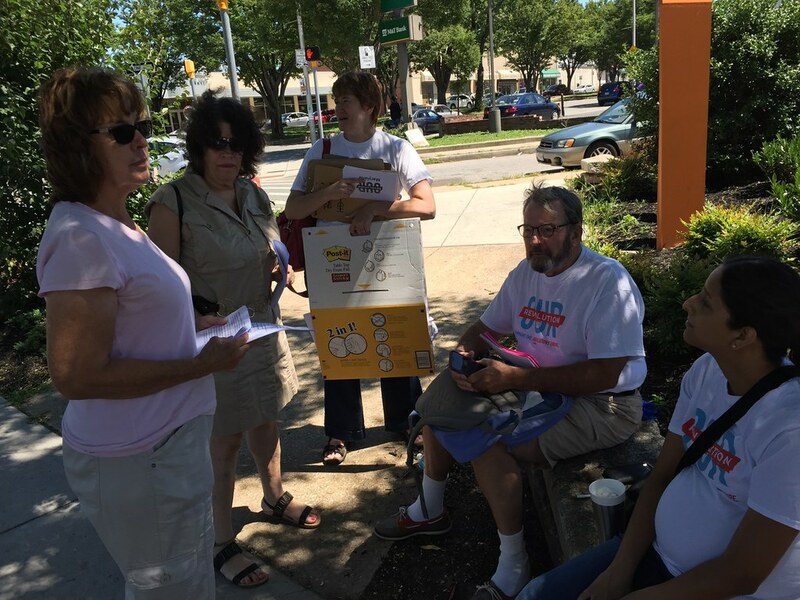 Sunday August 6th Our Revolution went out canvassing at the 32nd Street Farmers Market in Baltimore Maryland. We spent the day meeting people and mainly talking about healthcare and H.R.676 Expanded & Improved Medicare For All Act. At the same time we also told people about Our Revolution’s Summer for Progress. Before going out our group created a handout. This had talking points on Medicare-for-All, the H.R.676 bill, and a link for people to look up their local representative. The overwhelming majority of people we met supported single-payer healthcare. 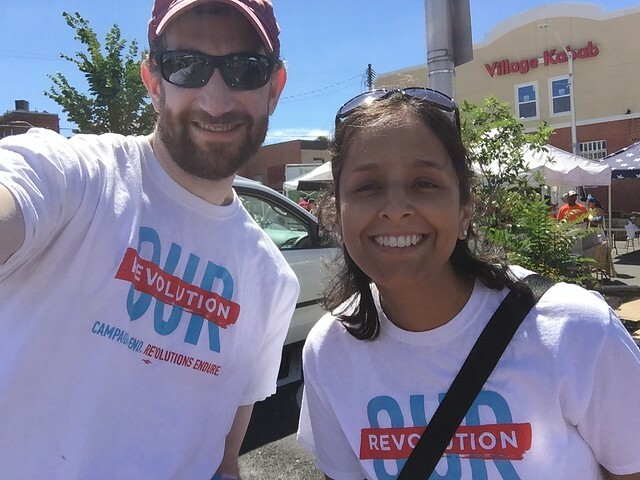 Sign up to get involved with Our Revolution Maryland and check back here for upcoming Maryland events. This entry was posted in Baltimore City, Maryland, News & Articles, Regional Post. Bookmark the permalink.